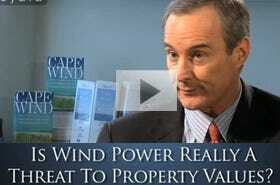 About a decade ago, a Massachusetts-based energy entrepreneur named Jim Gordon had an idea. Instead of building another natural-gas-fuelled power plant, which would pump more carbon into the atmosphere and add to the country’s dependence on fossil fuels, Jim’s idea was to build the country’s first offshore wind farm. The project, called Cape Wind, would place 130 turbines on a windy shoal in Nantucket Sound and produce 75% of the electricity required to power Cape Cod, Martha’s Vineyard, and Nantucket. Cape Wind would do this without consuming a drop of foreign oil or pumping an ounce of carbon into the atmosphere. It would use a free resource that Nantucket Sound is chock full of. And, thanks to some subsidies, it would provide power at a price that was close to the prevailing price for fossil fuels and well below the price that fossil-fuel power would cost if and when the country had another energy crisis. As the nation’s first major offshore wind farm, Cape Wind would also help make the United States less of a laggard in the race to develop significant sources of renewable energy. To a small extent, it would also lessen the country’s dependence on the kindness of foreign strangers. So when Jim told everyone in Massachusetts about his idea, he was hailed as a hero, right? These complaints were familiar, in part because they’re true and in part because opponents of renewable energy–usually organised by the producers of fossil-fuel-powered energy–have invoked them to oppose renewable projects forever. And why, pray tell, will Cape Wind do these latter horrible things? 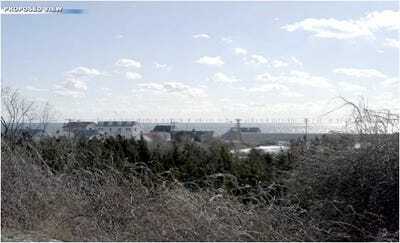 Because the Cape Wind turbines will be visible from shore (see below). 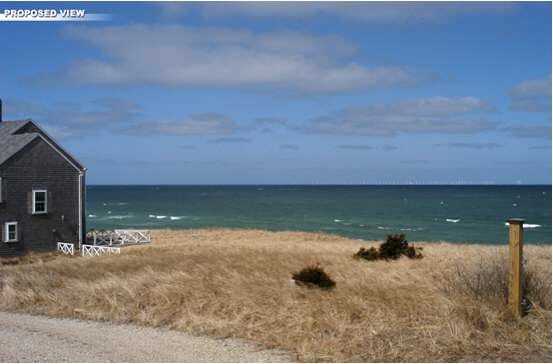 When homeowners try to sell their houses, the logic goes, potential buyers will say, “I’m knocking off 5% for the windmills.” Tourists won’t want to come to the Cape anymore because the spectacular Sound vistas will be despoiled by windmills. Cape Cod folks who serve these tourists fried clams and rent them bedrooms and sell them inflatable plastic lobsters will lose their jobs. Etc. Of course, those arguments are debatable, at best. More likely, it seems, people will instantly get used to the windmills. In time, some will likely come to be proud of them: “See that? That’s our power source. Where does YOUR power come from.”So one suspects that what is really going on is that the fierce opposition to Cape Wind, which has now lasted more than 9 years, boils down to a handful of rich beachfront homeowners don’t want anything impinging on their view. The folks who live on the shores of Cape Cod and sail their boats across Nantucket Sound, after all, are some of the richest people in the world. (As they have to be, to live and sail there). Those folks have gotten used to a turbine-free view. No doubt, some of the more forward-thinking of them talk a good game about the benefits of recycling, conservation, renewable energy, and other forms of “green” innovation, but they’ll be damned if they support these things if they wreck the view. In other words, it’s NIMBY writ large (Not In My Backyard). 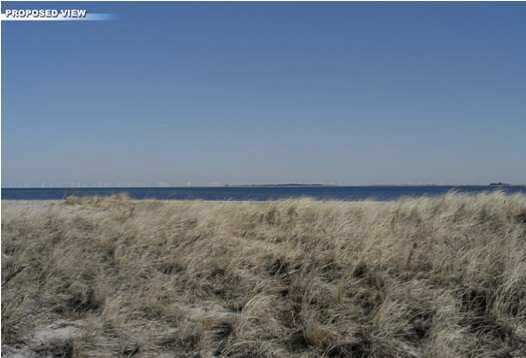 The late Senator Ted Kennedy, who owned a beachfront compound in Hyannis, hated Cape Wind. Joseph Kennedy II, who still owns one, has written long, tortured explanations of why he supports wind energy in New England but wants to kill this project (In sum: He supports it if it’s somewhere else.) And many other New England notables have joined the fight. And it’s undeniable that Cape Wind will affect a handful of Massachusetts residents more than it will affect others–because they’ll be able to see the windmills. And obviously they have the right to say something about that. But new power plants always affect some people more than others. And the reason power plants usually get built in someone else’s backyard is that the someone else often has less money and influence with which to fight the project. So it’s hard to conclude anything other than that the real reason Cape Wind has encountered such vehement opposition for the past 9 years is that a handful of rich people don’t want it to affect their views. Over the past 9 years, Jim Gordon has spent $45 million of his company’s money leaping one Cape Wind hurdle after another. This spring, the Interior Department will finally approve or kill the project once and for all. If they approve it, Jim can finally move on to the more important challenge, which is building a viable renewable energy plant right in his own backyard.